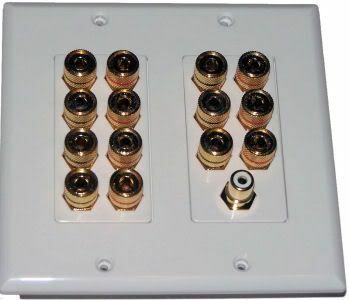 14 Post Speaker Wall Plate for 7 speakers Plus an RCA jack for hooking up your sub woofer. We have 2 post, 4 post, 8 post and 12 post available in our store. Fits standard DOUBLE electrical boxes. 14 posts require a Double electrical box for mounting.